Ditch + Switch made easy! Plus this smells AMAZING! Store in a glass container and add 1/4-1/2 cup to into washer with each load of laundry. As I approach the end of my pregnancy it’s very bitter sweet. I cannot wait to meet our little guy but I know this next phase of life will be a whirlwind adventure. He will grow up too fast and I won’t be able to protect him from every little thing like I can now. Regardless, I am beyond excited! I wanted to share with you a little about why I chose to do a home based business and why I chose Young Living. It’s Monday and I know some of you out there are hating life because of your job! That was me a few months ago! My number one reason for starting my business was our baby. 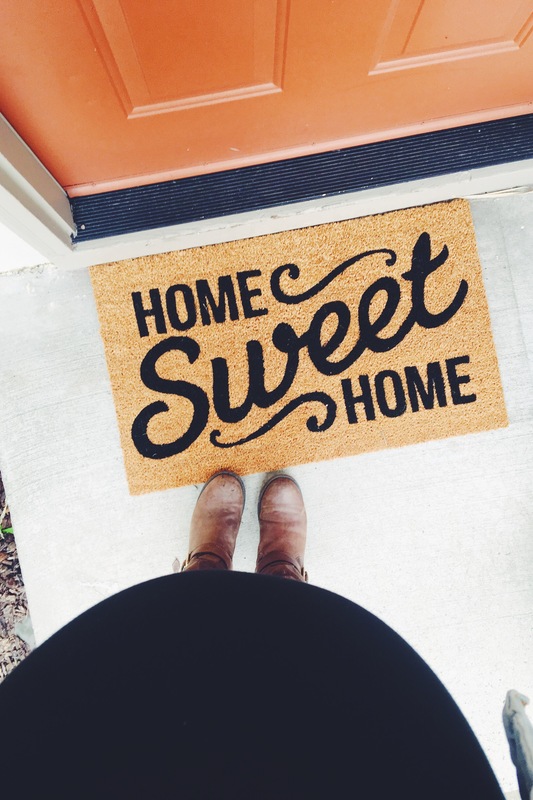 I knew I wanted to be a stay at home mom but I still needed an income. The opportunity Young Living provides is so generous that everyone has the opportunity at an income with no ceiling. The products they produce are simply put, the BEST! That’s why this is easy for me to be passionate about helping other mamas gain time and financial freedom with YL. I don’t sell oils that’s the beauty of it all. I introduce, educate and lead, you purchase your own oils through Young Living. Easy peasy! As women, we naturally tell our friends about our favorite products, restaurants etc. I knew this would be an easy thing form me to do since I was already using the best products out there and I would be telling others about it anyways. My hope is that if you are looking for something better for your family whether it’s removing toxins from your home and lifestyle or you are looking for it all, a life detox from toxins, time freedom, financial freedom, to gain a community of encouragement and support through it all then I’m ready to help you! Purchasing my starter kit was the easiest thing I ever did and it’s been life changing! The fact that you can gain all of this with one little starter kit blows my mind, and I’m truly thankful! I would love to hear from you! Comment below or email me!!! I want to help take out the intimidation that can very easily come with using essential oils. I will show you how to take away the mystery behind essential oils and help you get some really easy, practical tips on how to simply start applying them to your lifestyle as well as a bit of information about what they are! If you would like to attend the class will be hosted on Thursday night 4/20/17 on Facebook @ 7:00 MST. Comment with your email to be added to the invite list! I hope to see you there! Feel free to ask any questions! I’m ready to meet you and show you your new home little one. I know I’m going to miss these moments in life while I have you so close and near that I can feel your hiccups and feel your every move, but I also know how excited I am to see you. I want to see you smile, yawn and sneeze. I want to give you kisses and hugs. I can’t wait to hold you, so whenever you’re ready I am too. Never in a million years would I have guessed I’d be a mama! But I’m over the moon excited to be your mama. Do you guys have the app Think Dirty?If not you should get it and start scanning your bathroom products and cleaning products around your home and see what it measures up to being clean and safe for your family! Umm…I was SHOCKED when I started scanning all my make up and cleaners. That’s when I made the decision to ditch and switch and do my best at trying to eliminate chemicals around my family. + first up, download the app on your phone “think dirty” and start scanning things in your home. You might even think they are safe/clean/organic…but let me tell you (sadly) marketing is tricky and you will soon be SHOCKED what you are putting on your bodies! + next, you think okay what should I do now? Think THIEVES! We use all the Thieves line and let me tell you that as a new mama soon- I am GRATEFUL to know exactly whats going on our bodies and that it is truly safe. -Thieves Laundry Soap is plant-based and is as pure and natural as a detergent is going to get—plus it contains the most powerful essential oils on the planet that not only make it smell amazing, but really help to get things clean. I mean, I use Thieves for cleaning literally everything in my house, and now they’ve made the best detergent I’ve ever tried out of the stuff. This little compact bottle does 64 loads of laundry, instead of your typical 32. It’s 6x concentrated, so a little goes a long way. I love that it’s not so cumbersome like those giant jugs of detergent, and doesn’t take up a ton of space in your laundry room. And IT. WORKS. Stains come out, whites don’t get dingy, dirty husband clothes come out CLEAN. I can’t believe how well it works with only needing to use such a small amount. 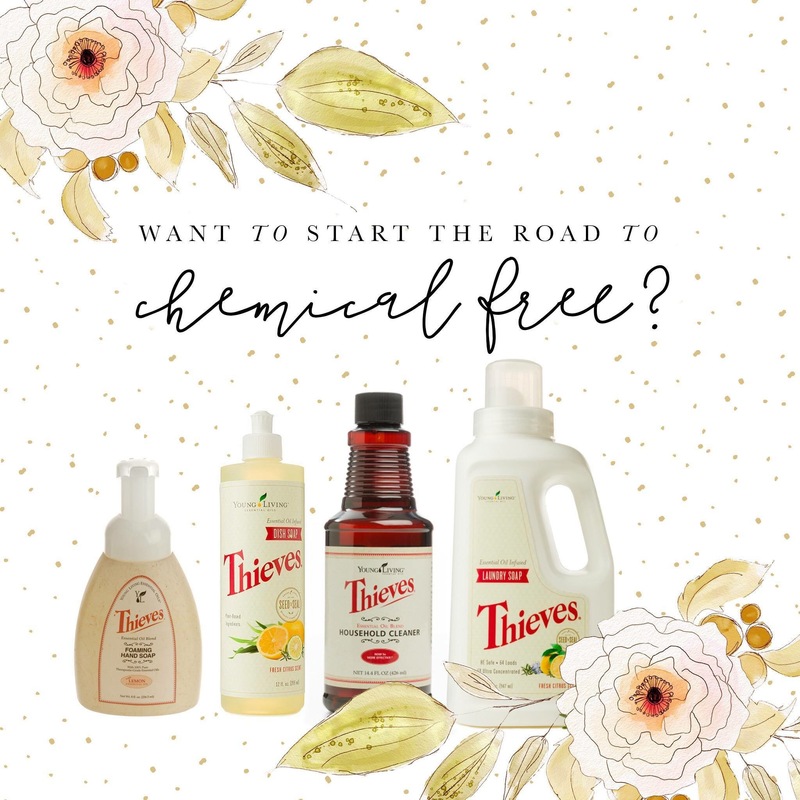 – Our favorite and most amazing all-in-one, clean, non-toxic cleaner (free this month in the promo! )……This one bottle will clean everything from your toilets to your car, your toys to your floors. And it’s highly concentrated, only needing one ounce for an entire spray bottle of water so it will last you forever! + Thieves Foaming hand soap- yep, you guess it…I have this at every single sink in my home. It smells amazing, cleans amazing and its safe for those precious little hands its washing! – Wash that produce and feel confident that you’re only getting the nutrients, NOT the bugs, dirt, or chemicals that might be on the outside! Plus, it doesn’t add any weird flavor or aftertaste to your delicious fruits. + Thieves Dish Soap- guess what it says on the bottle? “If swallowed, drink plenty of water…” -Safe, good product AND….it cleans amazing! I literally took my weekly “grocery store” budget and made a shift to these products and will never.go.back. Frankincense is known around the world for being so valuable that in Bible times it was considered to be worth more than gold!!! WOW! And how fortunate are we that it comes in the starter kit!?! It supports healthy smooth looking skin, has a grounding effect when inhaled which offers support emotionally and when taken internally has been know for its abilities to heal! Copaiba is know for its anti-inflammatory and pain relieving properties making it an excellent choice to apply to your face for troubled skin. Tea tree is another cleansing and healing oil that all ladies should keep on hand for those pesky flare ups! Here is one of my favorite roller combos for my face, apply at night or in the morning or both after you’ve washed your face! Enjoy! Another successful make and take today with sweet new friends. 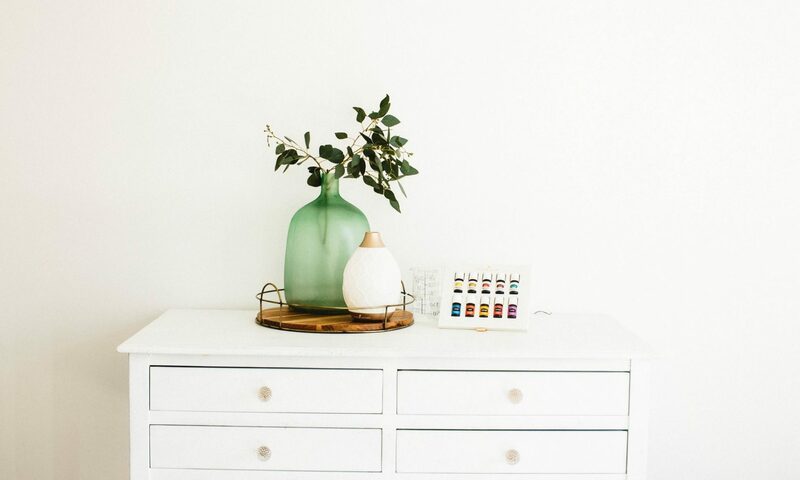 We chatted about how to use the starter kit oils and how amazing our oily community is. 💗 We snacked on peppermint brownies and made Mama’s Fav rollers-every mama needs this roller! All of which will help any mama tackle the day with confidence and the emotional support she needs! 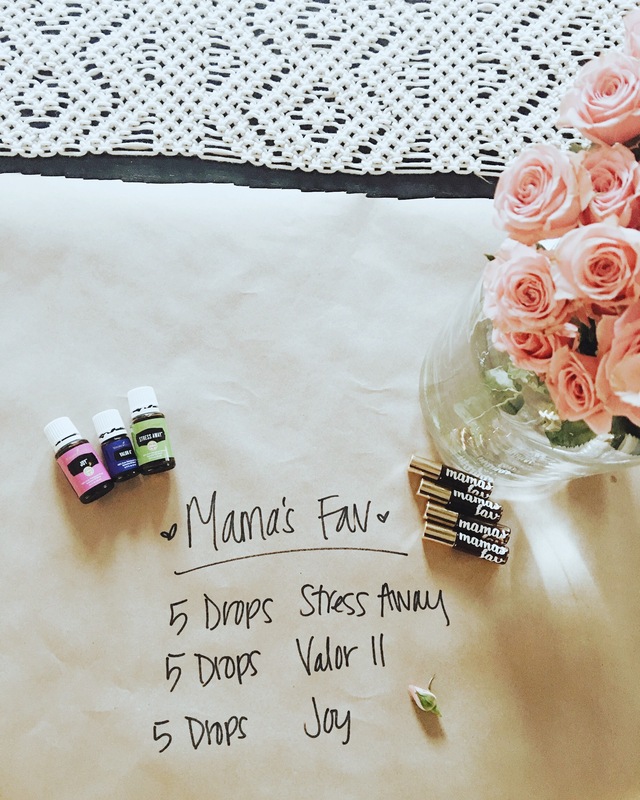 Hearing and learning about the stories from mamas is what drew me in about the emotional support from these oils. Life changing for sure! Joining this community has opened up so many learning opportunities to me I never thought was possible with oils.